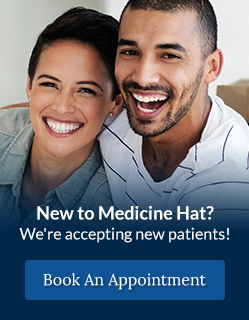 Dr. Snedden is a general dentist at River Dental in Medicine Hat, and takes a particular interest in orthodontic treatment. Medicine Hat Dentist, Dr. Snedden attended Medicine Hat College and attained her B.Sc. and DDS degree in Dentistry from the University of Alberta in 1983. Dr. Snedden combines technical skill with a passion for organization and completeness. She has taken a special interest in the field of Pedodontics, particularly Orthodontics.